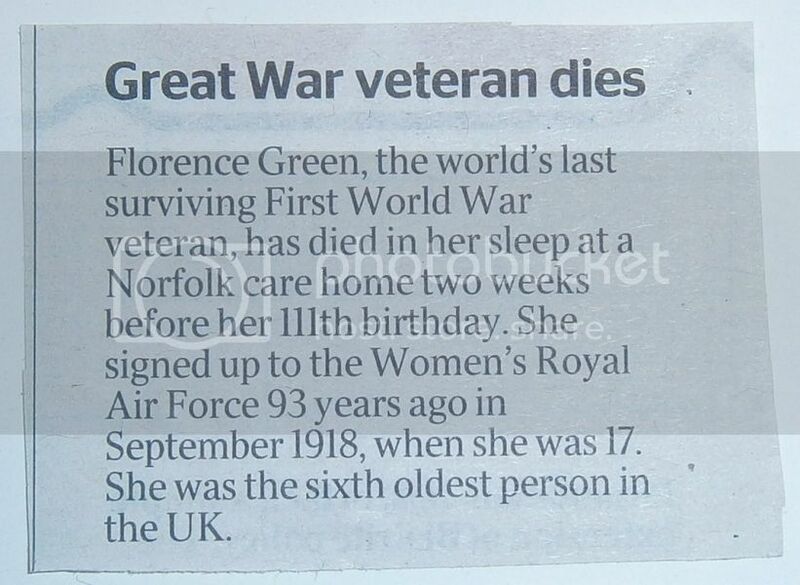 To me, the most significant event of 2012 was the passing of the planet's Last Surviving Veteran of World War I.
I wanted to close 2012 by making a tribute video for Florence Green, the Last Surviving Great War Veteran who passed away earlier in the year. You can hear the fireworks in the background ... it was very close to midnight. Florence lived from February 19, 1901 to February 4, 2012 ... fifteen days prior to what would have been her 111th Birthday. Included in the following video is a newspaper article from Britain. Sadly, the article about Florence is on page 52 instead of its rightful place on page 1. The chapter on World War I was closed forever in 2012. 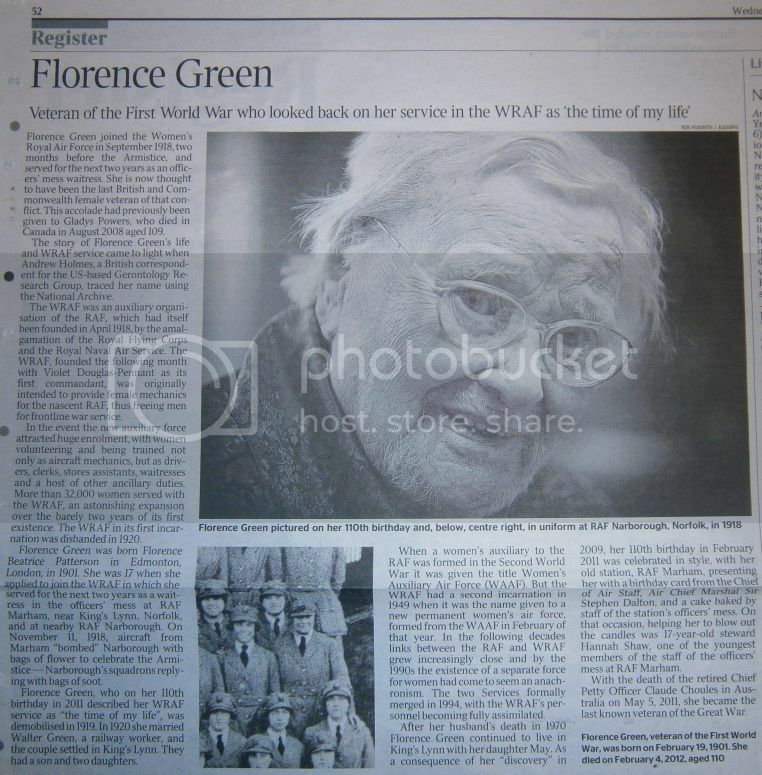 Let us give a very hearty salute to Florence Green and all of the Servicemen and Servicewomen who were mobilized during the Great War.